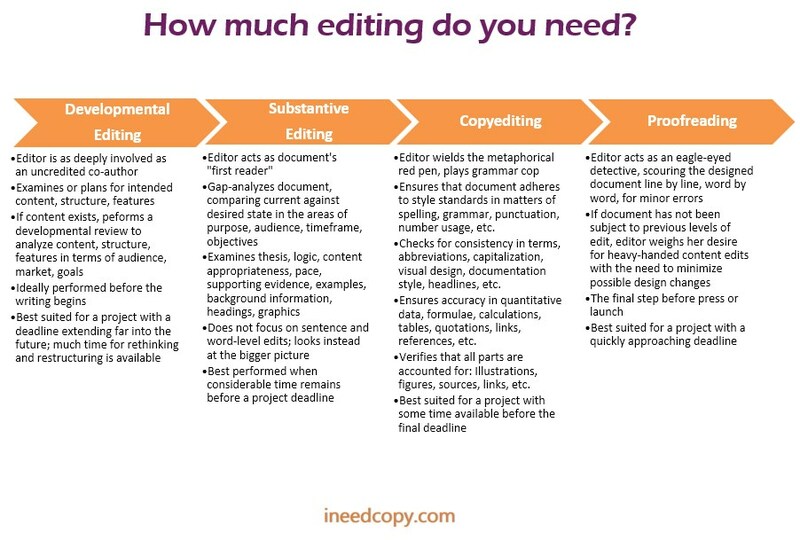 How much editing does your content need? As a developmental editor, I help plan your content or recommend structural changes and content additions/deletions that will bring the work in line with project goals, audience requirements, and your objectives. As copy editor, wielding my red pen and your chosen style manual, I hunt down grammar, punctuation, and spelling errors by moving through your text line by line, word by word. This work usually requires a few passes through the text as I hone in closer and closer to the desired state, making sure that terms, abbreviations, hyphenation, labels, use of numbers, and reference styles are consistent, and that dates, references, quotations, links, calculations, and other quantitative data are accurate. Finally, before turning the edited text back to you, I make sure all parts are present, accounted for, and leading readers to the right places: Tables of contents, illustrations, tables, sources, and links, for example. As proofreader, I use various proofreading techniques to look for errors in a designed version of your document--errors that you, I, or someone else might have missed during the copy-editing phase. Proofreading is the penultimate step before publication--and our last chance to catch glaring and even subtle errors. Click the image below for a PDF version of the Levels of Edit. Like what you hear? Take the next step. Either get in touch through my form, or click the button below to tell me about your project and request a quote. Renae has been a great resource bringing an effective "marketing" perspective to my website copy. She's highly professional, prompt…and very good at what she does.